Kimi RÃ¤ikkÃ¶nen back is sore Singapore burden fingers. Surgical treatment is not necessary, although such things on-line world is the beginning of the week tweaked. - Easy enough, so Kimi is back in full running order next week in Korea, estimated RÃ¤ikkÃ¶nen's trainer Mark Arnall on Tuesday, Turun Sanomat. Singapore Raikkonen back ached so that he would be able to continue driving on Saturday without kortosonipiikin numbing help. The best medicine for pain was really awesome to stop driving RÃ¤ikkÃ¶nen's race in Singapore. He rose to 13 the third box, and have thus had been on the podium in all lines, which was able to run before the two-year ajotaukoaan F1 level. A year ago, came as early as the first prize of investment in Abu Dhabi, which came off the same road victory. The newest lines have yet to achieve a podium in Korea, India, and Austin. Another TS article, Kimi top the overtaking table (47) this season (originally they missed 1 where Kimi overtook Maldonado on turn 15). Attentive readers pseudonym Nobody was right, and the proof Forixille statistics Michele Merlino admitted inadvertently left behind in one of Kimi's bypass off invoices Singapore Grand Prix Race. - The reader is right. One of the bypass was forgotten. Kimi overtook Pastor Maldonado also when entering the round of 15 on 10 place. Between them was Daniel Ricciardo, who went to the pits as the round and I went to the confusion, when reaching the pits drivers do not count as overtaking, Merlino forwarded greetings. Instead, Valtteri Bottaksen bypass Merlino does not fall under the Williams Finn went to the pits at the time. RÃ¤ikkÃ¶nen overtaking the other three came in the second round Paul di Restasta, Esteban Gutierrez in round five and 54 round Jenson Button, kind of. This implies that the Singapore race with a total of 35 so-called bypass. flying speed. Singapore overtook at the World Cup in Italy amounts of bypass (27), Hungary (22) and Monaco (16). No wonder Allison & some other good people are going away! Anyone read the article on autosport quoting Alan Permane about Fernando's title chances? This guy sounds grumpy and pessimistic. Someone needs to find the a pacifier! Red Bull were not quicker by 2-2.5 sec. Romain was within a second of Red Bull/Seb's pace at the back if the pack on fresh tyres. It seems like Permane is really losing it, he is really a bitter person. I must admit I ve never liked or trusted the guy, for me it goes back to Bahrain 2012 when they didn't send Kimi out in Q2 in order to safe tyres. On Saturday Permane said nothing about it, he practically insinuated that Kimi didn't do a good job in qualifying, he let Kimi take the rap. After the race was over and Kimi got second place, Permane quickly took credit for the whole event and he told everyone that the whole strategy was his idea from the start, and he purposely didn't send Kimi out in qualifying. The wmb hs latest relevation: "We've never been so annoyed to get a podium," Permane told AUTOSPORT, referring to the fact Kimi Raikkonen benefited from Grosjean's misfortune to take third spot. But who knows he might be right about Red Bull continuing their dominance next season. For the sake of F1 that wouldn't be good, people are already bored. So Permane was annoyed that his new no.1 was not on podium but Kimi. I thought Lopez & Lotus team are different, at last its the same, bashing Kimi when things don't go their way! I thought I read somewhere that Lopez also bashed Allison. Lopez and Permane seems to be very bitter people. I am actually feeling a bit sorry for Boullier it seems like he has to fix and explain all of Lopez's comments in the press. I would to see Kimi win another race this season, just to be able to see how Lotus would act. Lopez told French Auto Hebdo -magazine, that he "imagined that RÃ¤ikkÃ¶nen didn't come back to F1 only for money, but now it's clear that the truth is completely the opposite". Saari thinks that his comment is incomprehensible. â€“ When Kimi has flied all year from race to race with his own money, it's incredible to start explain that Kimi came back only for money. It's clear that you have to get your salary, Saari says. â€“ On top of that Kimi told in a very appropriate way how things are. I find it incomprehensible that first they don't take care of their own responsibilities and then they start to whine about him being here for the money. If you race from March to September with with your own money and without complaining, then I think it tells about something completely different, Saari said. Saari reminds that all drivers couldn't even manage to travel at their own expense. RÃ¤ikkÃ¶nen is also not the only one in Lotus who has been left without money. Saari also understands Lotus-team's side in this matter. The team is in debts and RÃ¤ikkÃ¶nen's departure isn't helping them at all. Nobody wants Lotus-team's problems to continue, everybody hopes they have a competitive Lotus next season also. â€“ I understand that Kimi's departure hurts, I can imagine that the interest of many sponsors disappears due to that. It came at a bad time, the team's management has many times admitted in our interviews how Kimi's significance for the team's attraction is very huge, Saari says. â€“ Because of that the switch is a bad thing, however they shouldn't go and promise salaries they cannot afford to pay. It's not easy for teams in this financial situation, but they shouldn't start to bash afterwards. Is â€œdude_blink@hotmail.comâ€� your e-mail address? Do you have one? What do you think about pilotsâ€™ Brazilian ? Hello, my name Henry Hutahayan. Iâ€™m from Indonesia. Kimi youâ€™re my favorite driver and Iâ€™m happy because you join in Mclaren in this year because Mclaren is the only one my favorite team. I just want your promise to win the race in 2003 (maybe in France or anywhere) and Iâ€™ll pray for that. Would you keep your promiseâ€¦???? Thank you. Answer: Iâ€™ll do my best! Answer: I remember it clearly â€“ it was at Mugello and It was very nice indeed and so different than anything else I have ever driven beforeâ€¦FANTASTIC!!! Kimi, miten meni testit tÃ¤nÃ¤Ã¤n? Kuinka usein sÃ¤ kÃ¤yt Suomessa? Onks Sveitsi kiva paikka? HyvÃ¤Ã¤ onnea kaudelle 2003â€¦. Answer: For sure you can learn always, but the main thing is to bring quite a lot of natural talent with you, otherwise it is difficult. And about Schumacher, Iâ€™ll better keep that for myself as he might be in the chat. What do you think about your first year with McLaren and do you still have contacts with Mika HÃ¤kkinen? What will you do on new yearÂ´s eve?? KÃ¤yttÃ¤Ã¤kÃ¶ mclaren ens vuonna tallimÃ¤Ã¤rÃ¤yksiÃ¤? Answer: ItÂ´s nice to have fans and I really like all the support I get!!! Dear Kimi, Congratulations to you on your stunning start to your Formula-One career. As â€œThe Icemanâ€� you always seem so cool and unfazed by everything. Is there ever a time when you are nervous about anything?? Race day, waiting for the lights to go green? Visiting the dentist? Flying? Anything??? Thanks for answering this question (if you do!!!) Sending you every good wish for your F1 career Kimi, youâ€™ve got a fan for life, take care, love from Sue. Answer: Iâ€™m good friends with Mika but really donâ€™t have friends as such among the other drivers..
Answer: All kinds of different sports â€“ gym, running, cyclingâ€¦. You have a tattoo on your wrist â€“ it pictures a green sun; how old were you when you took it? Answer: Yes â€“ I like driving on the streets. 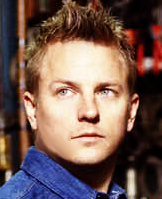 Kimi, please answere at least one question of mineâ€¦ do you feel that Mclaren have chances of beating Ferrari in 2003? Best of luck in your endeavour, Varun. Answer: Yes â€“ I know that we are all working very very very hard to do this..
Have you got good relationship with West McLaren Mercedesâ€™s leaders? Answer: Sorry â€“ I canâ€™t answer all the questions as there are so manyâ€¦..I have a good relationship with all of them and we get on really well. Will you be visiting the Paragon when itÂ´s finished? And what do you think of the new regulations? Kimi, thank you for the answer, it really ment a lot to me, you know I hope mercedesâ€™s engine will be much competitive and stronger next year so you could finally show everyone who is Kimi Raikkonen!!! Answer: No not yetâ€¦â€¦â€¦.I have to go shopping nowâ€¦..Seriously I have to leave now as its been a long day. Iâ€™m going to have something to eat and then bed as its an early start tomorrow here in Jerez. Iâ€™m sorry that I have not been able to answer all your questions but there have been so manyâ€¦thanks for your support. I have tried to keep the answers short to get through as many questions as possible. Thanks for attending the chat and I wish you all a merry Christmas and a happy new year. Answer: joo muuten oli tilanne hallussa koko ajan mutta joskus voi kÃ¤ydÃ¤ noinkin!! / and in english YES! It's actually a shame Kimi possesses this stat. If Lotus could qualify consistently in the top 5 (which Kimi consistently finishes at or above in the race), this stat wouldn't be so inflated. I think Kimi is a top 3 driver this year. Fernando and Vettel have better cars. Back to the future: What happened when Kimi Raikkonen left Ferrari in 2009? Four years after leaving, Ferrari's last World Champion will return to Maranello in 2014. So just why did Kimi depart in the first place? Are you still disappointed with the departure of Kimi Raikkonen ? This is a topic that has me a little angry. I never said I was disappointed by Kimi but the timing statements. Kimi and I talk every day because we're friends. It happens to laugh at what is said in the press. I am sad that Kimi is no longer with us next year. But it was his choice, which I hope will be successful. This is one of the best drivers in the world but Roman (note: Grosjean) is going up in power. I am sad because we have walked the path together. This is someone we brought in F1 and has managed an incredible return. Whenever professional paths diverge, you are sad but it is not the end of the world for Kimi, or for us. Actually Gerard said Kimi was back in F1 (and back in Ferrari) only for money, which is even worst. The one who said he was disappointed by Kimi (not his statements) was Boulier. And the one who said was annoyed by his podium was Allan Parmane. We are back to a Memory Monday for this week. From Martin Brundle to current F1 driver Kimi RÃ¤ikkÃ¶nen. His move from Lotus to Ferrari for 2014 has recently stolen the motor sport headlines, but it was not the first time the Finn has made him the major talking point. In 2009 RÃ¤ikkÃ¶nen took us all by surprise leaving left Ferrari to pursue a venture into rallying. He first ever rally was the Artic Lapland Rally at the start of 2009 where he finished in 13th place in a Fiat Punto Abarth Super 2000 car. Being under contract with Ferrari at the time, this only allowed the Finn to enter in a Fiat group product. He used the Punto again to make his WRC debut on his home event, Rally Finland in the summer of that year. He was running third in class and 15th overall before he rolled out of the event, but his love for rallying was evident as he signed for the Citroen Junior team for 2010. Sitting alongside the circuit racer would be Kaj LindstrÃ¶m who previously partnered Tommi MÃ¤kinen in the WRC. RÃ¤ikkÃ¶nen scored his first WRC points when he finished eighth in the 2010 Jordan Rally, and in doing so became only the second driver after Carlos Reutemann to score championship points in both Formula One and the World Rally Championship. In the next WRC event, the Rally of Turkey, RÃ¤ikkÃ¶nen improved his best result with a fifth place finish, this result saw him beat established and more experienced drivers in the field. He finished seventh in the Rallye Deutschland, his second ever asphalt rally, while notching up his first ever career stage win on the last stage of the rally. Coming into the final rally of the year, our own Wales Rally GB, Kimi was to use a mature approach and gain experience of this tough, demanding event. Drawing in a new group of fans, RÃ¤ikkÃ¶nen performed well on all stages from the legendary Sweet Lamb and Myherin to the spectator stage at Cardiff Bay, eventually finishing eighth overall. 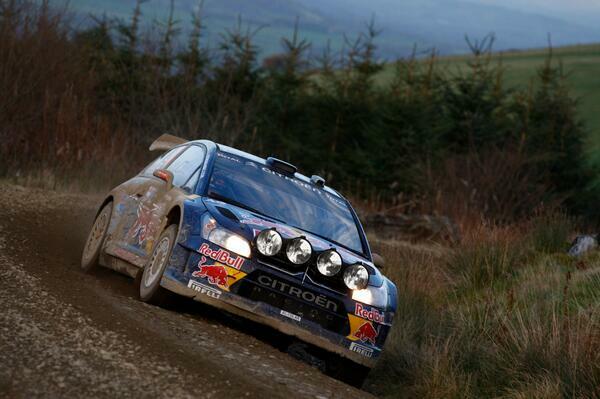 A year later RÃ¤ikkÃ¶nen retired from Wales Rally GB at TC13 with a mechanical failure. This was to be a cruel end to his mixed season and rallying career. He again finished 10th overall in the championship. Did Kimi move for money? There have been various opinions on this matter and indeed Kimi himself appeared to infer it was a factor in his decision to leave Lotus. When Kimi signed his first contract with Ferrari, this agreement entered the history books as one of the most expensive sports deals in history, across all sports. Kimi was signed to the Enstone team on a â‚¬3m a year salary and he was offered a bonus of â‚¬50.000 per point. Lotus clearly underestimated the success of the combination of their car and the Finnish world champion. So far in 2013, Kimi has scored 149 points , which is a bonus of â‚¬7,450,000. In 2012 Kimi scored 207 points which would have cost the team â‚¬10,350,000 in addition to his 3â‚¬ million a year salary. Lotus will probably end up paying Kimi for his two years endeavours around â‚¬24 million. When Kimi signed for Ferrari in 2007, the deal entered the history books as one of the most expensive sports contracts with a participant ever. Today, nearly 7 years later, TJ13 believes that Ferrari have offered Kimi a deal valued in total at $153 million (â‚¬113m) over 3 years (2+1). This would be the 5th most lucrative contract awarded to a sports person in history. Only Alex Rodriguez (twice, once with the Yankees and once with the Rangers), Floyd Mayweather and Albert Pujols have been awarded deals reputed to be bigger in financial terms than this. Messi and Ronaldo now earn less than Kimi, and of course notably his team mate â€“ Fernando Alonso. The fine print of the Ferrari deal is still leaking itâ€™s way out, but if it was â€˜all about the moneyâ€™ for Kimi then notably Red Bullâ€™s puny â‚¬15m offer was trumped by a margin greater than Vettel could dream of pulling out on the rest of the field. No wonder Vettel wants to drive for Ferrari in 2015, which may be the beginning of the end for the F1 newbie dream team, because Newey also wants out to fulfil a life long ambition and design a British winning Americaâ€™s Cup entry. Yet following the announcement that Raikkonenâ€™s had signed for Ferrari something strange was noticed in Finland. Kaskisaari is an island in an archipelago about 300 mtrs. offshore from Helsinki. It is connected by just 2 roads, the Kasakisaarentie and the Kaskaiuranpolku, while the latter is no more than a ring shaped driveway, the first is a artery which divides the island into two halves. Until 30 years ago the two halves were owned by two families, that of the rich pharmacist Idman and that of the famous business man, landowner and big game hunter Schuster. Today, Kaskiaari represents the pinnacle of Finnish real estate. The 30 houses built on the island are all surrounded by tall fences, have impeccable gardens and cost a fortune. Helsinki, just 20 miles away, is now the ninth most expensive city in Europe. This is the Bel Air neighbourhood of Finland where the owners are afforded great privacy which is 24/7 and managed via thousands of electronic eyes and sensors. It is here where Kimi resides. He has, 526 square meters, facing the ocean. 8 bedrooms, 3 bathrooms, a marina and a teak wood terrace on the fjord make this the most expensive house in Finland at â‚¬17.8 million. Mysteriously, the house has been placed on the market for saleâ€¦..
Did Kimi move for money â€“ YOU BET! And it appears Il Padrino has once again slapped Alonso in the face with a wet fish ready for cooking on the BBQ to be held for Kimiâ€™s â€˜welcome homeâ€™ celebration..